Most dried herbs begin to lose potency after six months! If they don't smell strong when you take a sniff, discard them and buy a new bottle. Make sure you label your herb containers so you know when they were purchased; they should be frequently rotated. Buy small packages of herbs you don't use often so you don't waste them. Before adding the herbs to the food, crush the leaves between your fingers. This helps release volatile oils and increases the herb's fragrance and flavor. Store dried herbs and spices in a cool, dry place. 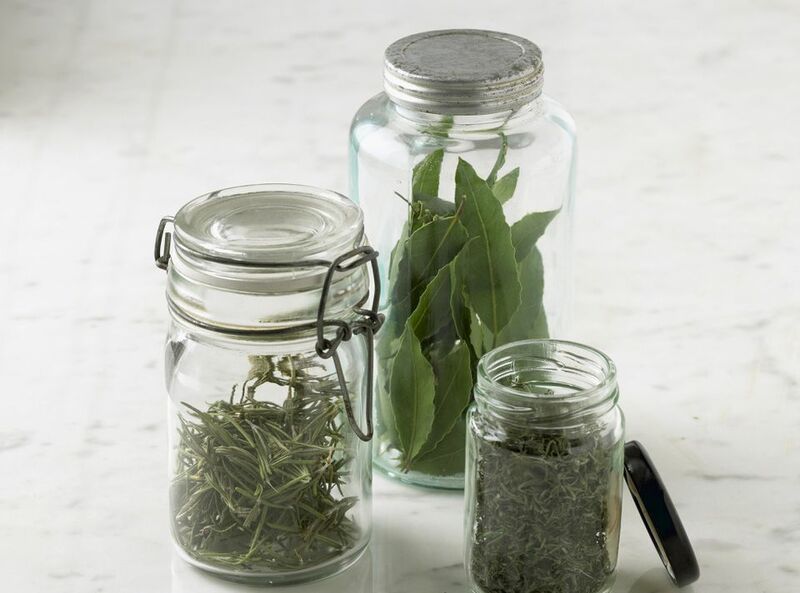 We recommend using a drawer near (not next to) the stove so the herbs stay cool and are kept out of sunlight. Another great tip is to store your dried herbs and spices in the freezer, so they last much longer. Just make sure everything is well labeled so you know what's what. Crushing the frozen leaves between your fingers will release more of the volatile oils and help make the herbs more fragrant when added to your recipes.